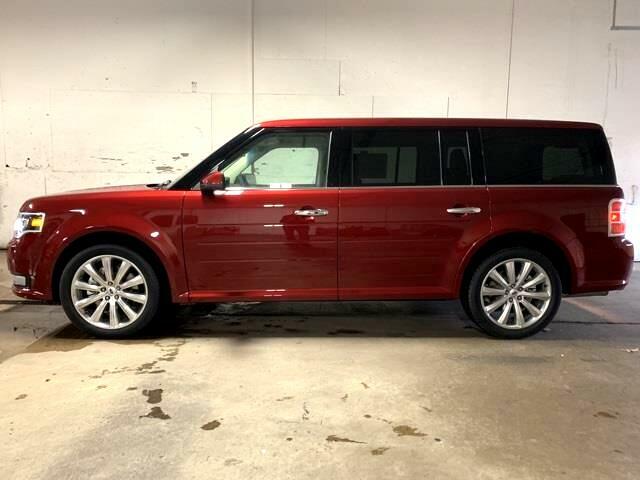 2019 FORD FLEX....LIMITED...300A PACKAGE....HEATED LEATHER SEATING.....NAVIGATION....MEMORY SEATS....20' ALLOY WHEELS.....MONOCHROMATIC ROOF....DUAL CLIMATE CONTROL....LOADED.....2019 Ford Flex Limited INTERNET BEST BUY! !, NAVIGATION SYSTEM / GPS, LEATHER SEATS, LOWEST PRICING GUARANTEE! !, PRICED TO SELL FAST, *115 POINT SERVICE INSPECTION COMPLETED, www.KERNSSUPERSTORE.com, FULL POWER, Flex Limited, 3.5L V6 Ti-VCT, AWD, Ruby Red Metallic Tinted Clearcoat, Charcoal Black w/Perforated Leather-Trimmed Front Bucket Seats, 20" Polished Aluminum Wheels, 4-Wheel Disc Brakes, Adjustable pedals, Auto-dimming Rear-View mirror, Automatic temperature control, Blind spot sensor: Ford Co-Pilot360 - Blind Spot Information System (BLIS) warning, CD player, Delay-off headlights, Equipment Group 300A, Exterior Parking Camera Rear, Front dual zone A/C, Front fog lights, Fully automatic headlights, Heated front seats, Memory seat, Monochromatic Roof, Pedal memory, Power driver seat, Power Liftgate, Power steering, Power windows, Premium audio system: Sony, Rear air conditioning, Rear Parking Sensors, Remote keyless entry, Speed control, SYNC 3 Communications & Entertainment System, Voice-Activated Touchscreen Navigation System.....REBATES TO DEALER....SOME FMCC FINANCE MAY APPLY.....SEE SALES FOR DETAILS.